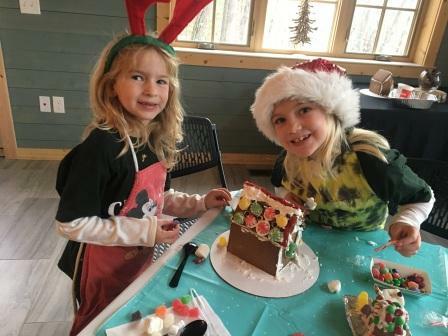 Create memories and a one of a kind gingerbread house Camp Newaygo! Arrive before the festivities of Santa and S’mores begin and admire the spread of sweet decorations in our holiday baker’s dream maker space. Assemble and decorate an edible dream house while enjoying the festive atmosphere. Staff and volunteers will be on hand to help with your creations. Each gingerbread house can be made by up to two participants for $40 per house. Admission for two to Santa and S’mores is also included in the registration.